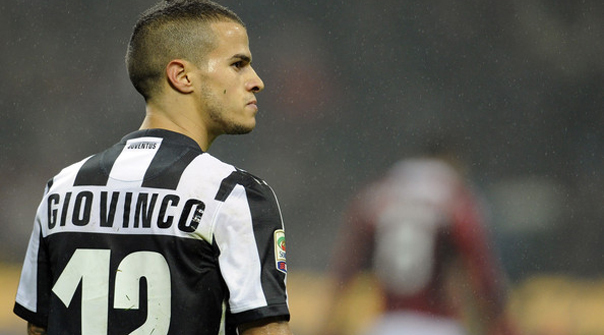 Let's begin by getting this out of the way: I love the Sebastian Giovinco signing. Giovinco may become the most exciting player ever to put on an MLS jersey. He is a joy to watch and this recent highlight video shows what he can offer while playing with Italian national team vs Azerbaijan on October 10/2014. The package of his dribbling skills, ball control, tricks, shooting, and a willingness to try anything with the ball at his feet, is up there with the best in the world. The reason I emphasize this video, other than how recent it is, is Azerbaijan is a good comparison for the defensive quality in MLS. Especially for a group of defenders who never played against a player with such exceptional ball skill. Similar to how a lack of, or matched strength and situations hurt Altidore's performance in the English Premier League, Giovinco became a well-known commodity in Italy being on a Juventus side where he ended up also getting out-depthed by many talented players. As a result, Giovinco has only played 750 minutes over the last two Serie A seasons. He was mostly an unknown outside of Italy until the 2011-2012 season with Parma in which he excelled, proved many wrong, and was listed in my prospect list for Italian Serie A that season. From that year he was given names such as Mighty Mouse, Atomic Ant and the Italian Messi. During that season Giovinco scored 15 goals and had 11 assists, although the advanced stats stood out more. He had 44 shots on target, 136 total shots, and 214 crosses into the box against Serie A defense which shows the type of player Giovinco is. Just for comparison, that was 15 more shots than league leader Robbie Keane had in MLS this past season, and 75 more crosses than New York Red Bulls Lloyd Sam who lead the league, which led to many of Henry's and Wright-Phillip's goals. Giovinco surpassed both while playing against some of the best defenses in the world. Admittedly, I did mention in my Altidore signing article that I did prefer the American over the Italian and expressed reasons why. Because of Giovinco's size and style I still feel it is hard to develop a team around him, similar to the issues the Philadelphia Union had with Freddy Adu in 2012, or the negative side of Camilo for the Vancouver Whitecaps. I also have concerns over the fact that Giovinco has never played with players with as weak technical skills as in MLS, so there are some worries of him getting frustrated, or worse injured via a bad tackle from a player he just embarrassed. All fears aside, if we conclude by adding in the drafting of Alex Bono, who I do feel even in 2014 will be the prominent goalkeeper (I will go in more detail of the draft picks after the final rounds are complete). I'm willing to go against all gut feelings of Toronto FC fans and say TFC should be favoured again for the MLS title this season and not even mentioning the dreaded playoffs. Again this year we will have the same issues of talent, but yet to be proven, although Giovinco fills a roll Toronto was missing last season. Jozy Altidore is not the injury, or what we realized, the flight concern of Defoe, and with less on Bradley's shoulders this season and more acclimatizing to the new MLS I expect more out him as well. I do agree with Patrice Bernier's comment about a club out-spending all teams to win having its issues, but I'm also fine with Real Madrid, Barcelona, Bayern Munich, Paris St-Germain, Chelsea and Manchester City, as long as you support those clubs. After eight years of suffering and still some questionable public relations, Toronto FC fans deserve this. Hopefully in 2015 some curse, or some other forces don't mess it up, or I will be in favour of throwing away the keys.